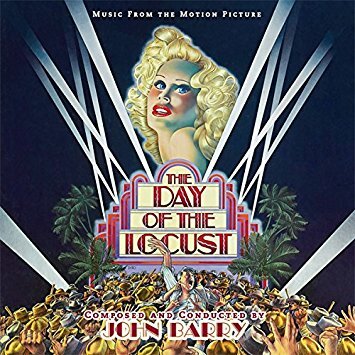 One of composer John Barry’s most prestigious assignments was the 1975 adaptation of Nathanael West’s nightmarish vision of 1930s Hollywood, The Day of the Locust, by the Midnight Cowboy team of director John Schlesinger, writer Waldo Salt and producer Jerome Hellman. I was delighted to write a 3,000-word essay on the film and its terrific score. One of the highlights of this album (considerably expanded from the original LP) is the addition of newly discovered recordings of a song based on Barry’s nostalgic theme, with three different Don Black lyrics, that went unused in the original film. I did new interviews with Hellman and Black for the essay. 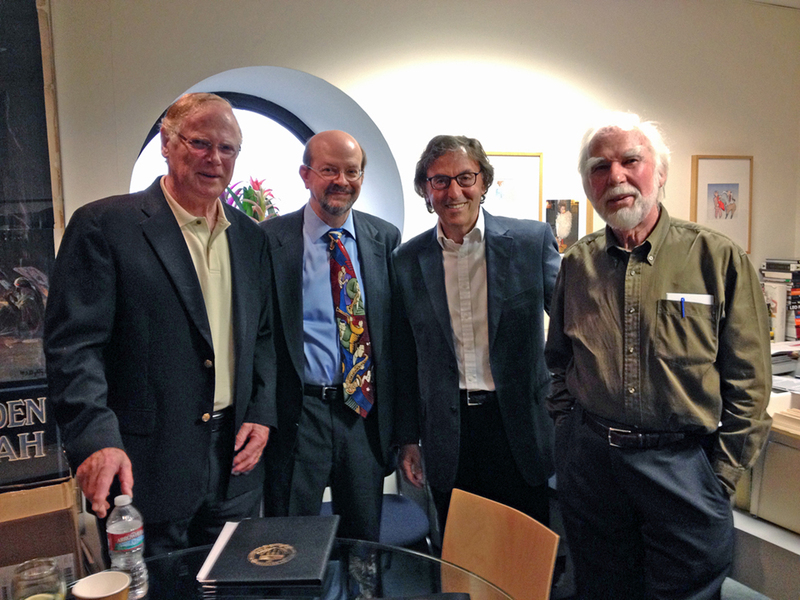 This entry was posted in Composers, Film Music, Interviews and tagged Don Black, Intrada, Jerome Hellman, John Barry, The Day of the Locust on November 1, 2016 by Jon Burlingame. 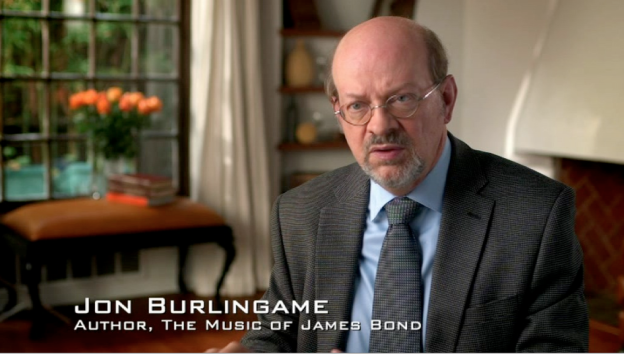 I was delighted to be asked to participate in Britain’s latest TV special devoted to songs from the James Bond films. The Nation’s Favourite Bond Song aired on ITV on December 17, and I was in pretty good company — Composer David Arnold, lyricist Don Black, members of Duran Duran and a-ha, etc. Plus previously unknown footage of Louis Armstrong singing “We Have All the Time in the World” for a UK TV show in 1970. 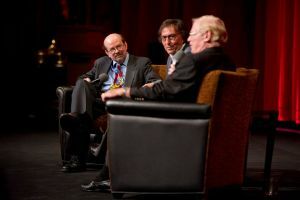 I was especially pleased to be able to discuss the importance of composer John Barry in the creation of the Bond sound. This entry was posted in and tagged David Arnold, Don Black, ITV, John Barry, Nation's Favourite Bond Song on December 18, 2015 by Jon Burlingame. 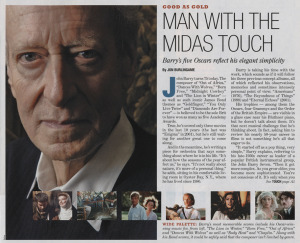 Of all the sections I’ve done for Variety on composers over the years, this is one of which I’m most proud: I flew to New York to interview John Barry on the occasion of his 75th birthday in 2008. I had always loved his music and we had become friends over the years. This is the main story, an overview of his life and career with quotes from Roger Moore, Michael Caine and David Arnold; here is a look at his invention of the spy-music genre, featuring an especially articulate Arnold; here are quotes about 10 of his greatest scores; this is a piece featuring some of his collaborators, including Sydney Pollack, Don Black, Bryan Forbes, Anthony Harvey and Barbara Broccoli; and here is a final piece that looks at his theater and TV work. 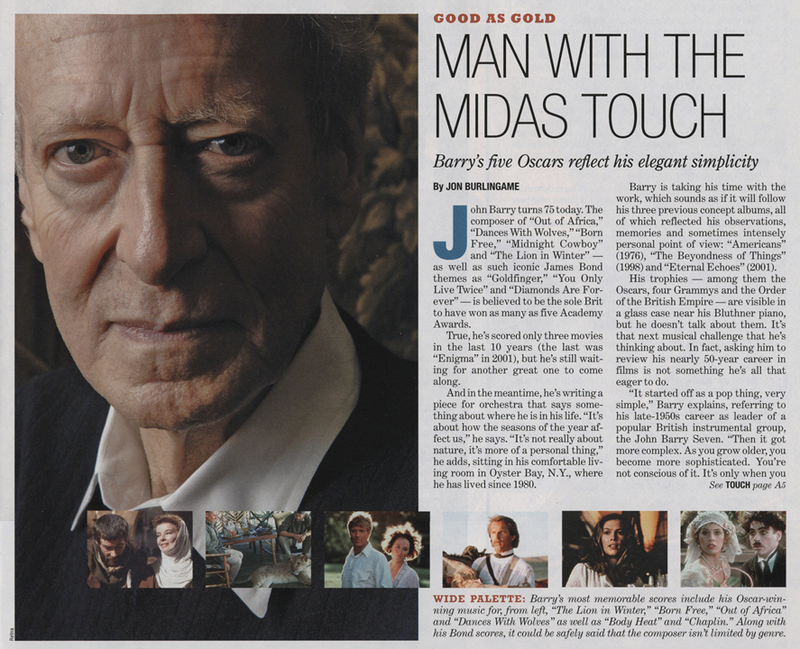 This entry was posted in Composers, Film Music, From the Files, Interviews and tagged Anthony Harvey, Barbara Broccoli, Bryan Forbes, Dances With Wolves, David Arnold, Don Black, Goldfinger, James Bond, John Barry, Michael Caine, Out of Africa, Roger Moore, Sydney Pollack, Variety on November 3, 2008 by Jon Burlingame. This was one of my all-time favorite album projects: two brilliant John Barry scores. One was a landmark Richard Lester film from 1968, the other a little-seen musical version of Lewis Carroll’s children’s classic released in 1972. Luckily both were Warner Bros. LPs and so they could be combined into a single 79-minute CD. Alice’s Adventures in Wonderland boasts an incredible British cast including Peter Sellers, Michael Crawford, Dudley Moore, Ralph Richardson and a young Fiona Fullerton as Alice. 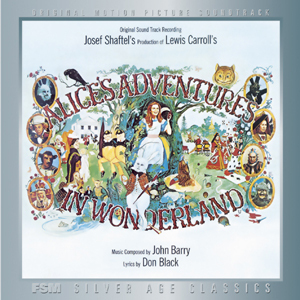 The film got terrible reviews but the songs by Barry and Don Black are delightful (especially “Curiouser and Curiouser,” “I’ve Never Been This Far Before” and “The Me I Never Knew,” all of which Barry later turned into a symphonic suite). 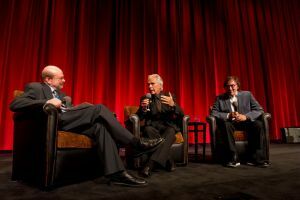 Petulia starred Julie Christie and George C. Scott and seems today to be a sharply observed look at Flower Power-era San Francisco with one of the composer’s most haunting themes. Any excuse to call John Barry for fresh insights into his work was welcome, and I did so again here. This entry was posted in Composers, Film Music and tagged Alice's Adventures in Wonderland, Curiouser and Curiouser, Don Black, Film Score Monthly, Fiona Fullerton, I've Never Been This Far Before, John Barry, Julie Christie, Petulia, The Me I Never Knew on December 21, 2005 by Jon Burlingame.